You’re not going to be able to take everything. This one realization is remarkably freeing. But I have some unique needs, since this isn’t a vacation. I still need to be able to do my job. Worse, I have a hobby that requires a significant amount of weight (i.e. lenses). Not wanting to lug heavy luggage, I set a goal for a maximum backpack weight of 20 pounds (9 kg). I knew I’d never meet this target, since the backpack, camera, lenses, and laptop came in at 12 pounds. So I aimed for 20, and would settle for 25 (11 kg). In my defense, a lot of that is the various plugs, adapters, and accessories I need to be a digital nomad. Plus, there are a few things I’m leaving in Australia, and some other stuff I probably won’t need but packed anyway. Surprisingly, I had a lot of room left in my bag. Since this is my first time packing for a trip like this, this is less a guide and more a “here’s what I did.” I have traveled a lot, and through trial and error, I think this is a pretty solid list. 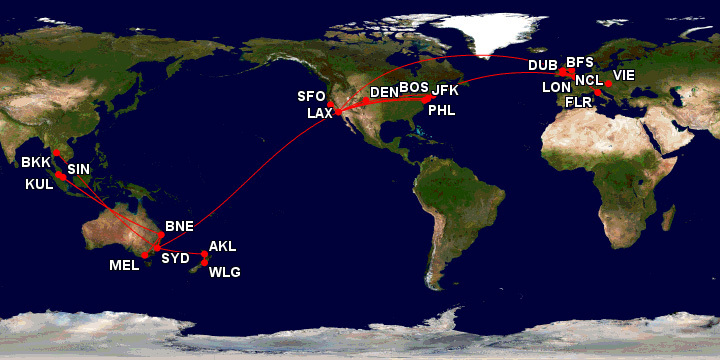 My rough route, by design, is keeping me south or near the equator. Since this trip is January through March(ish), that means I don’t need winter clothing. It’s hard to fit multiple seasons in one bag. 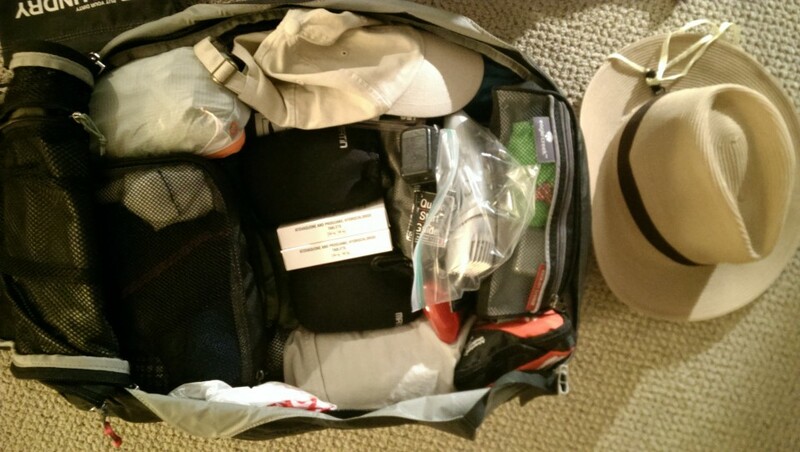 I packed: 5 shirts, 5 pairs each underwear and socks, jeans, shorts, Coolibar crushable hat (thanks Lauren and John!) and convertible pants with zip off shins. For travel days and random cool weather, I have a thin Smartwool shirt and a green Marmot hoodie that makes me look like Kermit. Also from Marmot, the Wirecutter pick for best rain jacket. The shorts are probably overkill, since the convertibles work as shorts. If necessary, I’ll dump them. The shirts and underwear are all special travel material, and I plan on reviewing them separately later. I can buy other stuff I need enroute. Even if I end up in Istanbul and it’s cold, I can always buy a coat. Then I can leave it with some deserving citizen if I don’t want to haul it with me. Again, no way I can bring all the face soap and such I need. I wish I was just a simple bar soap guy, but washing my face with regular soap leaves me looking like a teenager. So I’m bringing what I can, and will buy what I need as I go. I packed: 2 3-ounce containers of body soap and two more of face moisturizer, plus one more for face soap. Beard trimmer and toothbrush/toothpaste as well. I had space so some razors for my head too. I figured sunscreen and anything else I can get anywhere. As you can guess, I don’t use a lot of shampoo. For my job I need a laptop. 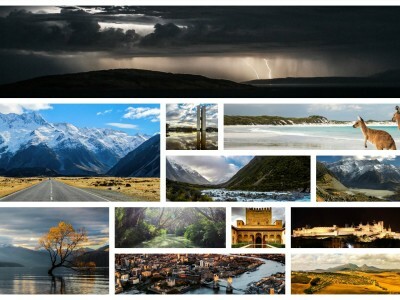 A camera is pretty much required too, since I do travel gallery articles. Since both are also required for my various hobbies, these are going. Clothing would get left behind before them. Honestly, I don’t like all the tech I bring with me. It’s a lot of kit. But, well, it’s what I do. Could I play music on my phone, and only have one pair of headphones? Technically yes. Weight-wise, those are fairly inconsequential. If there is a splurge/overkill section, this is it. I packed: ASUS T100 2-in-1 (love this thing, will review it later), Canon T3i (also called 600D), Sigma lenses: 30mm f/1.4 , 18-250mm , 8-16mm . iPod Classic, HTC One , B&W C5 , the basic Kindle, and Bose QuietComfort 20 . I packed: Monoprice 4-port USB charger , Monoprice multi-country travel adapter with USB (bulky, but useful), various single country adapters, 1 long USB micro cable, 2 retractable USB cables, 1 Apple 30-pin. I also packed a 12,500 mAh Anker USB battery pack that can charge everything but my camera (including my laptop). I’m also bringing multiple SD cards. I don’t advise only having 1 SD card. If you lose it, you’re toast. Spread your trip over multiple cards, and at least if you lose one, you don’t lose everything. I’m bringing (2) 16GB SD , (1) 8GB SD, and (1) 64GB microSD (in laptop, for backup). Also, I’m “bringing” Google Drive. For $5 a month you can have 100GB storage (best deal I found). So I’ll have 3 backups for all my images: the SD card, the laptop, and Google Drive. It’s also handy access to work files. I have a crushable travel pillow that I added as a last minute thing. Figured it couldn’t hurt, it’s light, and it straps to the bottom of the pack. Probably excessive, but it didn’t seem to hurt. Along the same lines, I threw in a small med kit and some Malerone. Can’t hurt to have, right? I bought a packed a few different locks as well. Not sure what I’ll need. My friends and family are amused by my fetish for backpacks. I buy a new one at least once a year. Each one is always the “perfect” one, until I find something better. Well for a trip like this, I don’t think you can find better than thhe Osprey Farpoint 55 Travel Backpack. It’s carry-on size, and fits 40 liters. The shoulder and belt straps can get zippered away if I want to check it. Best of all, there’s a secondary (15L) backpack that attaches to the front (or back, depending on how you look at it). My friend Mark calls this the “LEM.” It’s not a perfect pack for lots of lenses, but since it’s small and attaches to the main pack, it will do. Not bad, right? Only a few things are in the LEM (laptop, camera, headphones, some power accessories, iPod, Kindle) as it will be the underseat bag for flights, so I can get at my stuff. 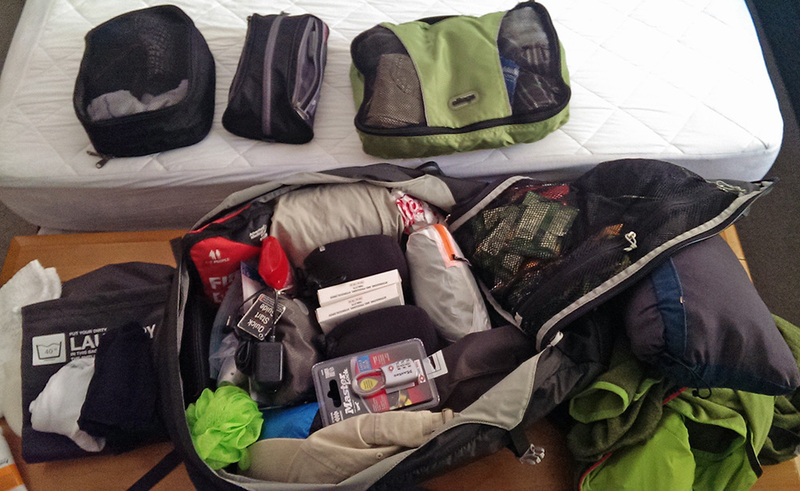 You’ll notice the prolific use of packing cubes. I’m going to do a separate article on those. They’re genius. There are two lenses, a med kit, a rain/wind jacket, and a sleeping bag liner in there. Honestly, 25 pounds was optimistic. I think if I left out all the stuff that I labeled above as excessive, including the USB battery pack, I could probably get it under 30 lbs, but with 12 lbs of camera, laptop, and the pack itself (not including their various cords and connectors), it’s hard to travel “light.” Still, 36 lbs isn’t bad. I’ll update this article with how well I did, as I go.